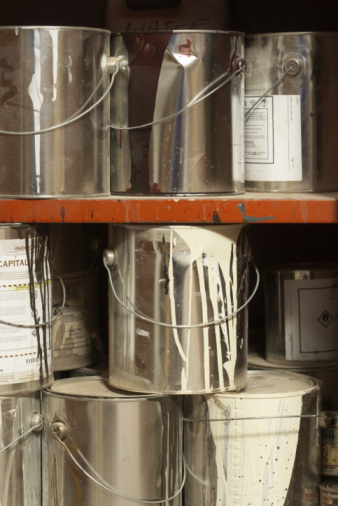 Latex paint contains a resin or rubber in the paint that helps the paint, once dried and cured, withstand high traffic or weather areas. Latex paint dries quickly. Once dried, the paint is difficult to remove. Paint removal methods won't dissolve the paint completely, but will break the bonds holding the resin in place, allowing the paint to soften and be wiped or washed away. Choose your method of removal based on the underlying surface of the paint. Some removers have greater damaging effects than others. 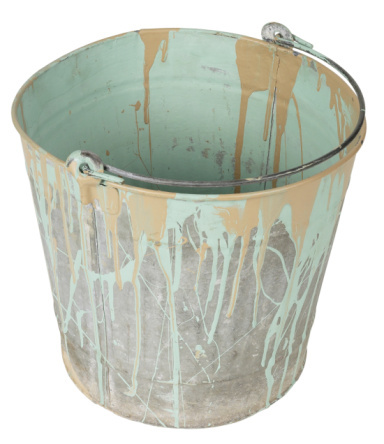 Look at the latex paint that you want to remove. Getting paint off a T-shirt is different than removing it from a lacquered hardwood floor. Saturate fabric with rubbing alcohol. This is mild to fabrics and finished woods. 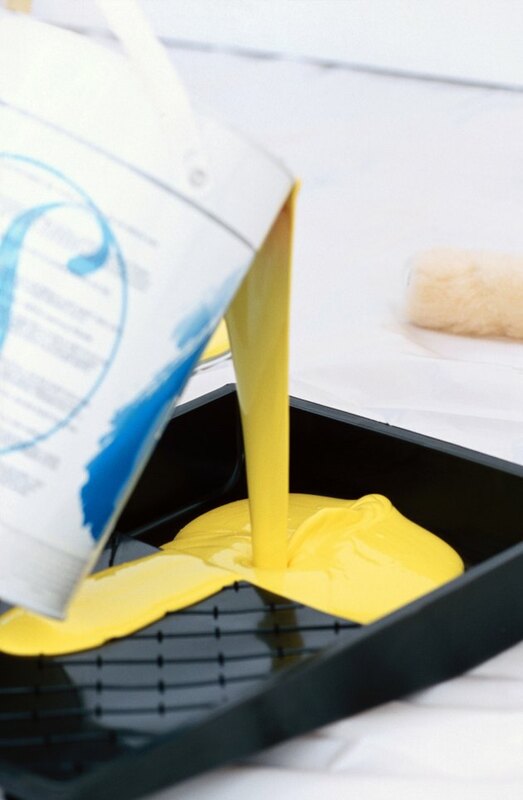 If the paint is on fabric that can be laundered, soak it for 20 minutes before putting it in the wash cycle where the latex paint is washed away. For carpets, blot the paint away with a towel once it has soaked in for 20 minutes. Pour ammonia into a clean towel and set the towel over the paint, allowing it to react to the latex. This method works well for substrates with sealants or varnished finishes. After five minutes, blot the latex with the towel. Repeat the blotting until the paint is completely gone. Use lacquer thinner on cement, bricks and other hard surfaces resistant to solvents. Wear gloves when using lacquer thinner. Coat the surface with thinner and let it sit for five to 10 minutes before wiping or washing away.